Over 60s Service may be lost to Lymsptone! It is with regret that a newly introduced service for Lympstone’s over 60s residents may have to close. 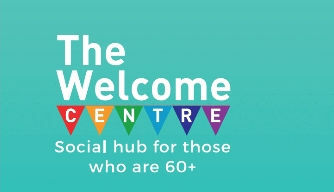 The Welcome Centre announced in the autumn of 2018 that they would be providing a service including activities [games, bingo, exercise, music and crafts] and a freshly cooked lunch to the residents of the village and held at Churchill Court. Mobile support officers had indicated that there was a demand for such a service in the village. The service was promoted to residents with leaflets, through the community support officers and online, and dates published set to run up to May 2019 – in 2019 the sessions being held twice a month. A free taster session was held on 26th November and was well attended. However, the, still subsidized, session on 10th December only attracted one person! The session held on the 14th January was a great disappointment to the The Welcome Centre staff – there were no residents attending. This was a subsidized service aimed at providing opportunities for residents to get out and meet new people – to socialize and enjoy new activities – all in a comfortable environment. Director Phil Williams said that providing the service involved a great deal of effort and commitment by the staff of The Welcome Centre and it was extremely disappointing that none of the residents had attended. A service needs the support of the local community – which clearly was not forthcoming. There is a strong possibility that the subsidized service will have to be withdrawn.